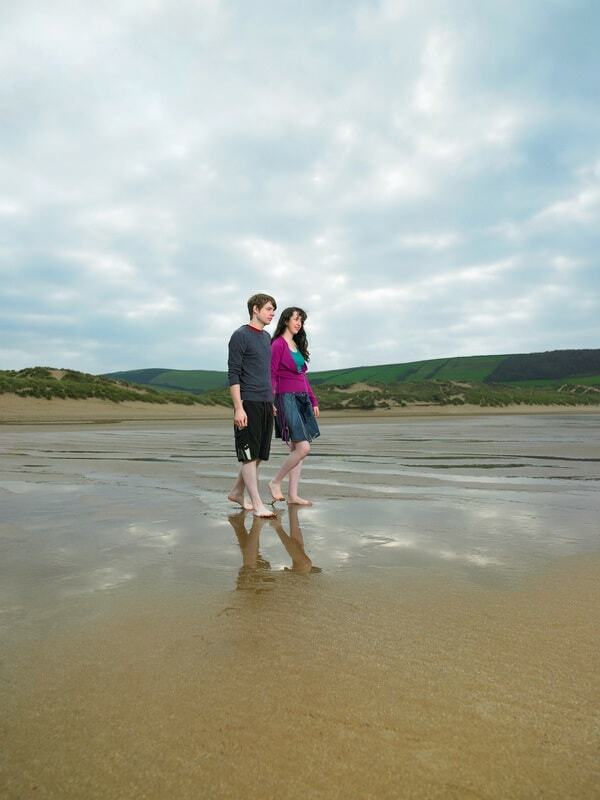 Heading to North Devon in the holidays is a great thing to do for all the family. For the elderly and little children alike, there is plenty to do and plenty to see. Dartmoor is an unmissable destination in North Devon, so how are you going to manage it with the kids and/or the grandparents in tow? Some people cannot stand camping and nothing, not even glamping, will persuade them otherwise. 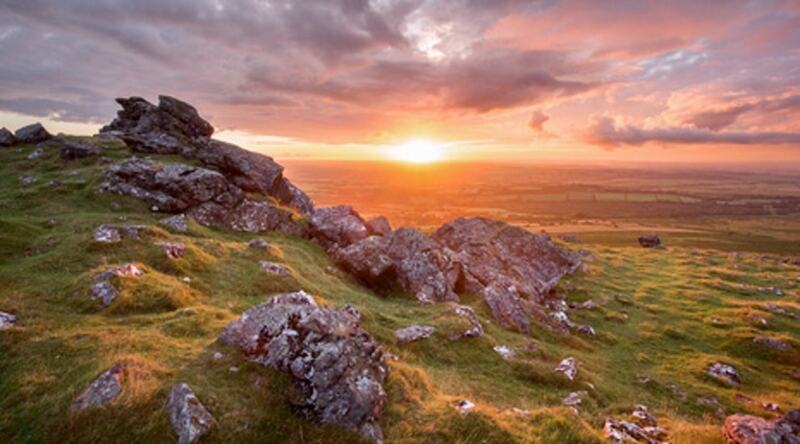 For everyone else, Devon and Dartmoor have some of the best campsites in the UK. The climate is mild and yes, it does rain, but this is England. Camping is cheaper than other forms of accommodation. 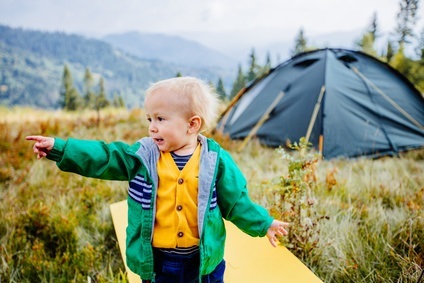 It’s great for kids, who get to make friends on campsites, and it gets you into the landscape. And what a landscape! A family camping out on Dartmoor. Dartmoor has a few really good campsites that are right in the moor. They have modern facilities like running water, showers, and baby changing facilities. Check ahead to make sure. On certain parts of Dartmoor, you can camp one or two nights on the open moor. Check to see where and when it is OK to camp before you leave. It’s an incredibly intimate way to explore Dartmoor. If you take it in, take it out again. Leave no trace. On Dartmoor you and your kids can go for epic walks across some of the most beautiful and varied countryside in the UK. For little legs, there are shorter routes, and there are regular stops along most routes that can let sore legs rest and ice creams be enjoyed! You can join a guided group with the Moorland Guides, find out about short walks from the National Park Visitor Centres, or grab a map and explore for yourself. Dartmoor can be an unforgiving environment, so make sure you have all you need before you go. There is some spectacular climbing on Dartmoor. The sea cliffs of Cornwall or the Hangman Cliffs might attract the most attention, but Dartmoor can stand up for itself. There are tors (hilltops) everywhere with incredible granite outcrops and boulders to scramble over and up. Kids and adults can all find something in their ability range and a lot of the best stuff is very closely packed. Haytor is an amazing experience for any aspiring climber. Riding horses and ponies is one of the best things to do with your time on Dartmoor. There is a healthy population of wild Dartmoor ponies up on the moor. It wouldn’t be wise to try ride one but you can hire some equine friends to explore parts of Dartmoor with all the family. A wide range of different terrain and difficulties makes Dartmoor perfect for any level of experience. Of course, one of the best ways to explore a landscape is on a bike. There are sedate bike paths through gorgeous woodland and over moor, or you can get more extreme and try mountain biking through some of the prettiest terrain around. Run by the Dartmoor National Park Rangers, the Ranger Ralph Club is open to kids 5-12 years old. They run about 12 events a year, so check their schedule. Fun stuff includes picking and pressing apples, den building, fire making, and learning about all the plants and animals on the moor. It’s free once you’re a member and it does not cost much to sign up. Great for a day away from the kids, who you’ll know are having the time of their lives. A Dartmoor tradition that dates back over 150 years, letterboxing is a great way to get your kids to start really examining the landscape. Write a postcard or letter, leave it in one of the letterboxes dotted around the landscape, and pick up and post the cards left by the previous explorers. It’s a lot of fun trying to find them and completely fascinating to see what other people have written. Geocaching is popular on the moor. Check the geocaching website for the GPS coordinates. Be careful about nesting birds. Read the Dartmoor code of conduct carefully before you visit. It is a delicate ecosystem that needs a lot of care. For those whose camping days are past, there is a lot of accommodation around Dartmoor for all budgets. B&Bs, self catering, hotels, home stays, and everything in between can be found in Dartmoor and its surrounds. Lots of museums, coffee shops, galleries, archaeological and historical sites, and easy walks can be found with ease on Dartmoor. The kids can be exhausting, so take a well needed break in any of the beautiful and picturesque market towns and villages that dot the moor. There’s great shopping from independent and local shops and producers, world class coffee, and amazing pubs to enjoy. This entry was posted in Things To Do In Devon and tagged Dartmoor on January 3, 2018 by admin.